Want to double your online bookings? You could be throwing away your online customers. What is an online booking engine? A part or page on your website that allows customers to book with your company. Some are forms which send an email, some require users to sign in before they can see prices, some are more advanced and allow instant quotes and booking confirmation. Your online booking specialists, ubiCabs are taxi and minicab experts, working exclusively within the industry. With a track record in producing exceptional web bookers, and thousands of bookings being accepted through ubiCabs’ online systems, they are market leaders in creating excellent systems for taxi and minicab companies. ubiCabs are specialist developers producing commercially successful taxi and minicab booking systems. Competitors, including independent developers and fleet management companies, are not. The Big Question – How much will it cost? It’s not as big a question as you’d think. While you might find cheaper booking systems out there (some freelance developers may quote lower, for example), ubiCabs is lower priced than competing online booking engines by other developers and fleet management platforms. Your ubiCabs booking engine will be online in just a couple of days, and you’ll be earning extra revenue immediately. 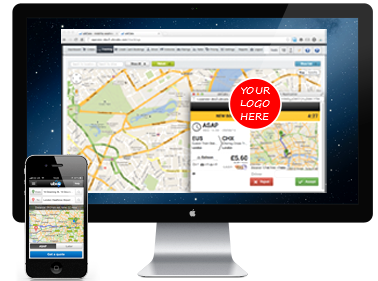 Taxi web booking software makes the difference between successful taxi company websites and those that are left behind. Instant quotes, instant price changing and instant booking confirmation will give you the edge. Get your web booker from ubiCabs, you’ll see what we mean.